If you're asking the questions 'How do I scrap my car? ', 'Where can I scrap my car? ', 'How can I get the best quote for my scrap car?' then look no further. Motorwise have all the answers and the best solution when it comes to scrapping your car. We work with a national network of licensed authorised treatment facilities (ATF). ATF's are licensed to accept waste motor vehicles and comply with the requirements of the ELV (End of Life Vehicles). Motorwise appointed car recycling centres legally and responsibly process scrap cars so that hazardous materials won't end up in landfills. 'Scrap My Car' - Why Choose Motorwise? Motorwise is one of the U.K.'s largest and most trusted online car scrap services. For your peace of mind, click here to read the thousands of independent Feefo reviews of our service. We work with some of the U.K.'s largest and most professional recycling centres (ATF's). This means we can help secure not only the best price for your scrap car but also gives you reassurance that your scrap car will be safely and legally scrapped. The Scrap Metal Dealers' Act 2013 has made it illegal to pay cash for scrap cars, but you will be paid directly into your bank account - much easier! Alternatively you can be paid by cheque. To scrap your car, the vehicle registration document, better known as your V5C form/log book is preferred but is not essential. We will even arrange a free scrap car collection. Our car recycling centres offer best prices for your scrap car regardless of whether it is a non-runner, has a major mechanical fault, is an insurance write-off, damaged or un-roadworthy. We will provide an instant online car scrap quote, for any make, model, age and condition. Scrap metal prices Link to our 'Scrap Metal Prices' blog in the UK are always changing, but we keep up to date with the market, to ensure that you always get the best price possible for your scrap car. How do I get a quote to scrap my car? It's easy. At Motorwise we offer a simple instant online quote service that takes just seconds to complete. Simply enter your vehicle registration and postcode and we will instantly display your online quote for your scrap or salvage car. 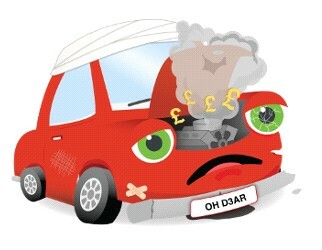 Click here to get a scrap car quote. 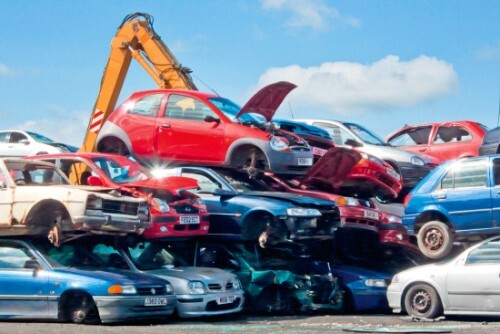 What's the difference between a scrap car and a salvage car? When you enter your number plate, our advanced pricing technology can recognise whether your car is potentially 'better than scrap''. For cars that are typically less than 12 years old, or are more sought after due to rarity or are in high demand by exporters, our website will identify these as having higher value than scrap cars. A salvage car is more valuable as it can either be re-used (repaired where necessary) or can have more valuable parts salvaged and re-used. See what your car is worth - Get your Scrap or salvage quote now.